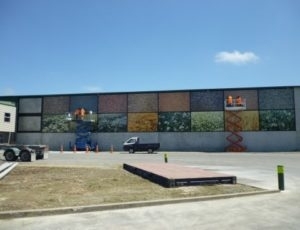 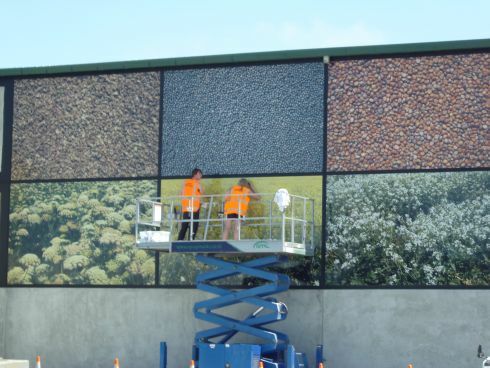 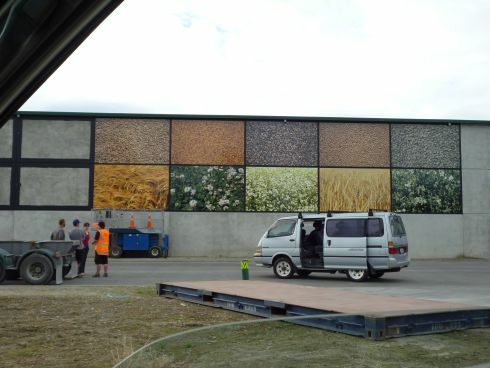 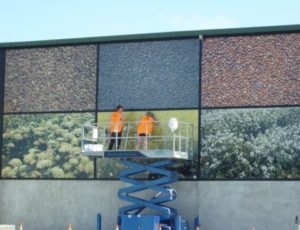 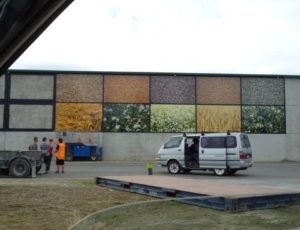 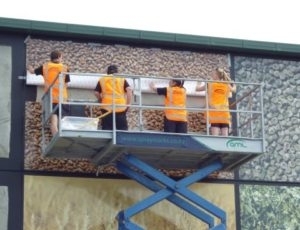 This massive wall mural was installed directly onto a tilt slab concrete building after specialist surface preparation. Approximately 30m x 5m, three years since its inital application, the graphics still look incredibly sharp as high quality specialist product was used. 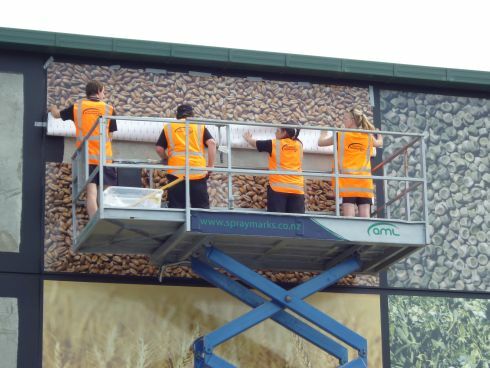 The images were supplied by our client and were predominately taken by an employee. 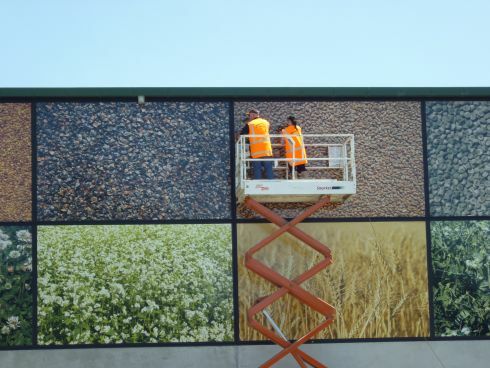 We also purchased some professional images as in order to achieve the best result, high quality images are very important when creating an installation this large.